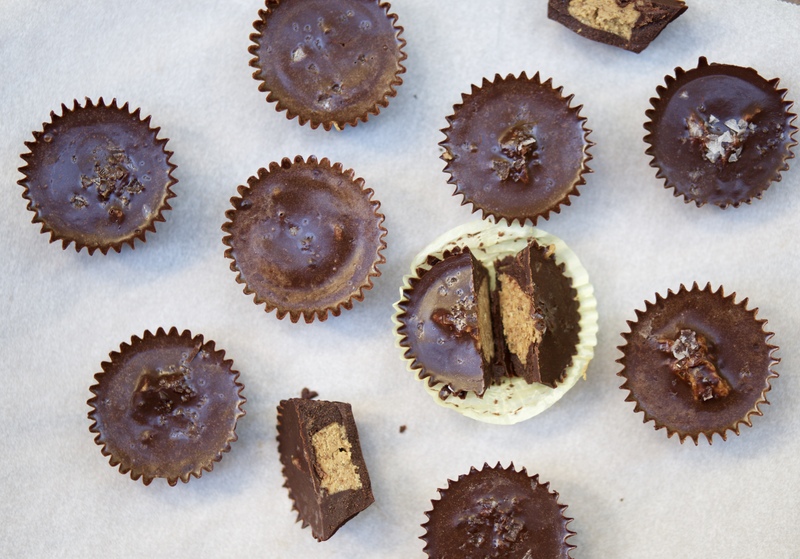 This week, Lindsay from WeekNight Bite is sharing a delicious recipe that is just a little bite of heaven. 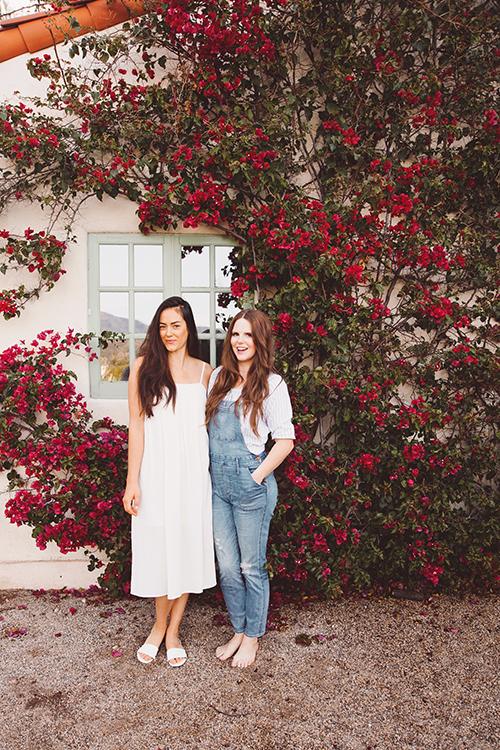 As a fellow California native, Lindsay is all about rich and nutritious foods with simple ingredients and easy recipes that everyone can follow. 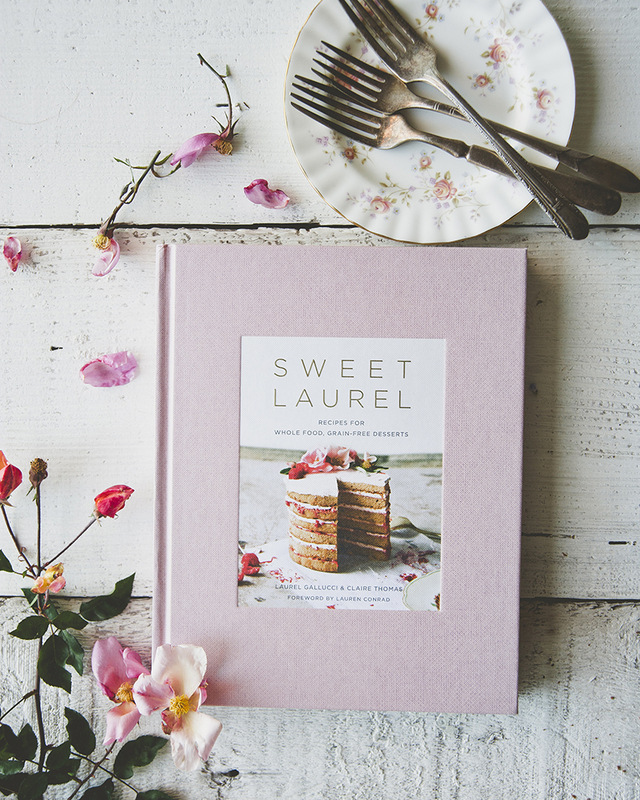 Her recipes are healthy and nutritious, as she puts a lot of thought into the ingredients that she uses while expressing her authenticity through fun experiments in the kitchen. With Halloween just around the corner, this recipe is perfect for Fall festivities or a nice indulgent treat that will satisfy anyone’s sweet tooth! 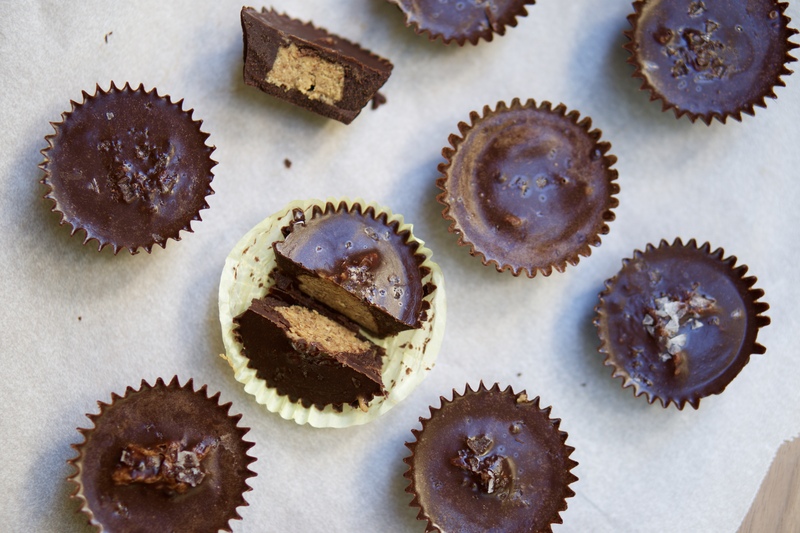 Lindsay’s Almond Butter Cups are rich in antioxidants and wholesome ingredients that boast great health benefits, creating an alternative healthier version to one of your favorite sweets. Mix together all of the chocolate coating ingredients (except salt) and stir until smooth. Spoon about 1 tsp of the chocolate mixture into the muffin liners. Place in freezer for about 10 minutes until hardened. While the chocolate is in the freezer, mix filling ingredients together. Remove pan from freezer and spoon about 1 tsp almond butter mixture in the center of each cup. Note: Make sure the almond butter is centered and isn’t touching the liners too much so that you can fully pour chocolate over the filling. 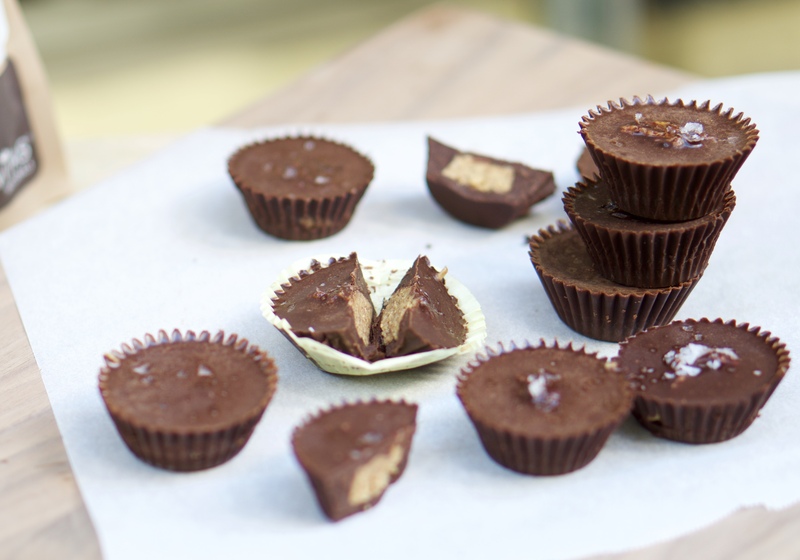 Pour remaining chocolate into the cups, filling them enough to cover the almond butter. Sprinkle each cup with sea salt, then place in freezer for another 15 minutes before devouring. Make sure to keep these stored in the freezer! Enjoy! This entry was posted in baking, chocolate, dessert, snacks, Uncategorized and tagged almond butter, almond butter cups, antioxidants, cacao powder, coconut oil, dairy free, delicious, extra virgin coconut oil, grainfree, halloween, healthy treat, maldon salt, maple syrup, paleo, quick, raw, refined sugar free, simple, vanilla extract on October 28, 2016 by sweetlaurel.